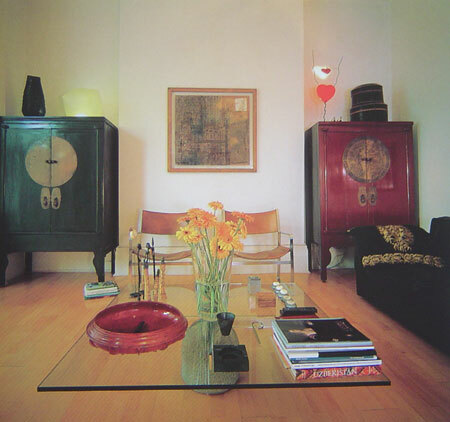 A pair of red and green Chinese wedding cabinets found in Belgium fit perfectly into Lina Kanafani's living room alcoves. "Their colours are a source of warmth and add playfulness to the general ambience of the room," she explains. In practical terms, they are used to store the music system, speakers, CDs, books and magazines. For Kanafani, aesthetics is more important than value: "They may not be 'important' pieces as far as Chinese furniture is concerned, but they have perfectly achieved the effect I was after."